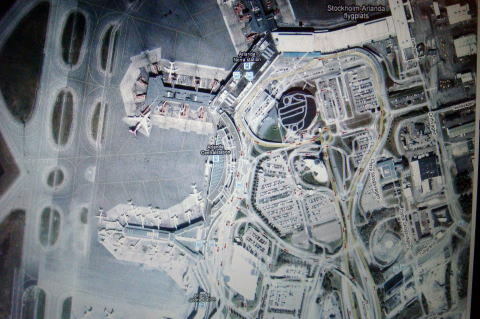 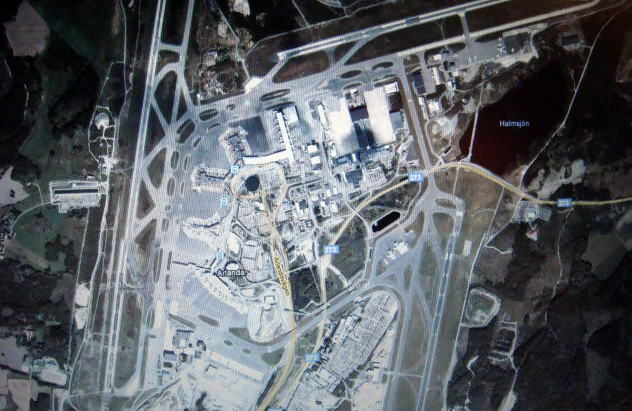 Satellite photo of Stockholm Arlanda Airport and smart sign board of a wine bar. 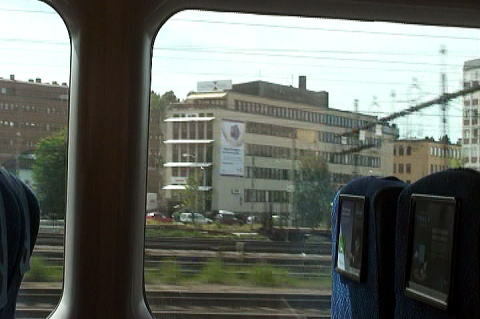 Arlanda Express is an airport-rail-link connecting Stockholm Central Station with Arlanda Airport. 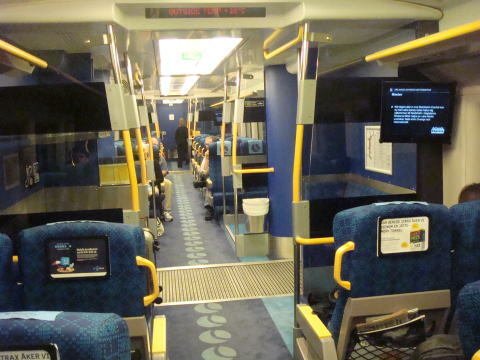 The cruising speed of the train is 200 km/hour and the journey takes 20 minutes. 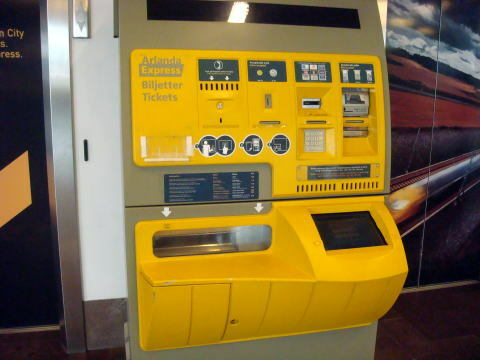 (L) A ticket bending machine. 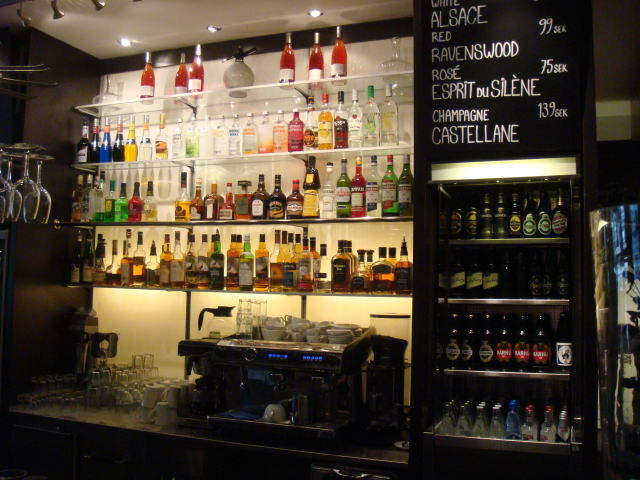 Major credit cards can be used when you buy a ticket. 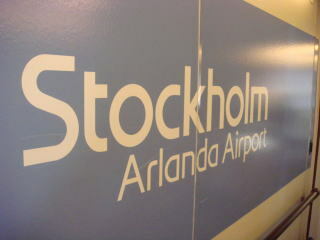 (R) Stockholm-Arlanda ticket. 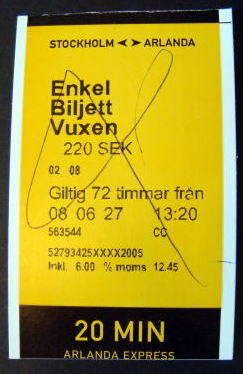 A ticket examiner put alpha mark on the ticket. 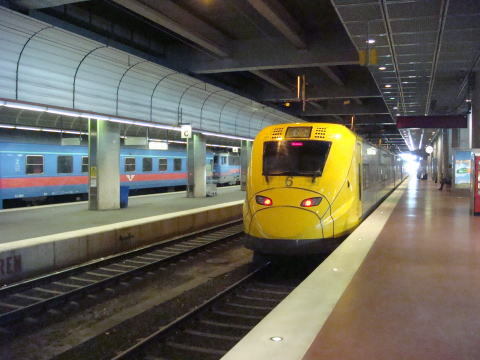 (L) A ticket bending machine placed beside the direct elevator to Arlanda Express platform. 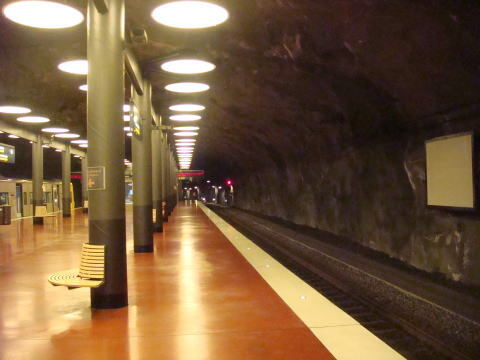 (R) The platform of Arlanda Express locates under rock cave. 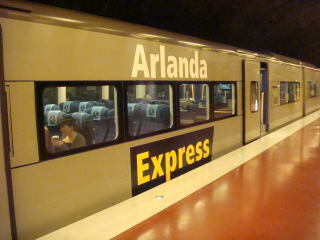 Arlanda Express - Exterior and interior - relatively large trunk space is near the entrance door. 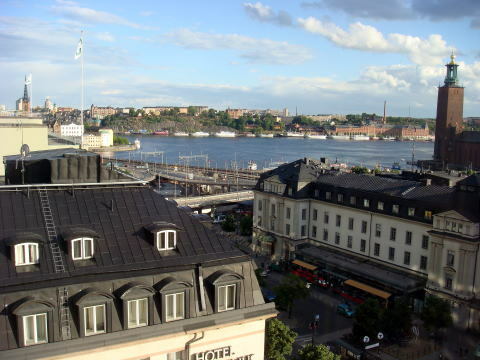 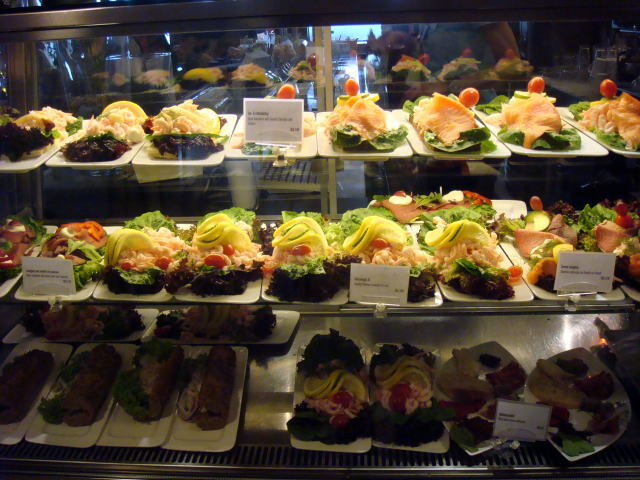 Nonstop Arlanda Express takes 20minutes from the airport to the city center. 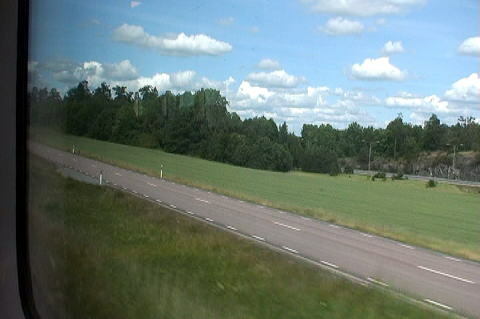 the trains of Arlanda Express run right side. 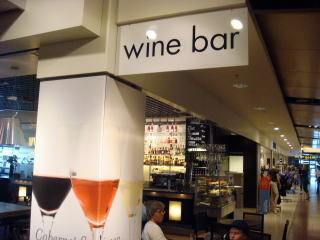 and at the corner of a corridor. 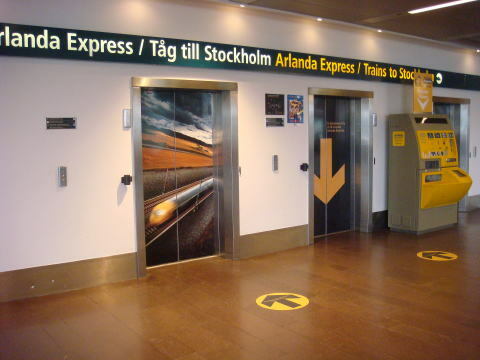 The main entrance to the train platforms of Arlanda Express Stockholm.